Hannah Bronfman attends the In goop Health Summit New York 2019 at Seaport District NYC on March 09, 2019 in New York City. Hannah Bronfman went super casual on the bottom half in a pair of high-waisted jeans. 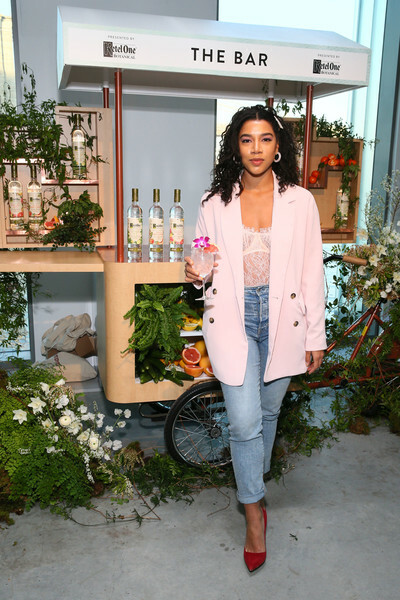 Hannah Bronfman layered a pink blazer over a lace top for the In goop Health Summit. Hannah Bronfman added an extra pop of color with a pair of red pumps.